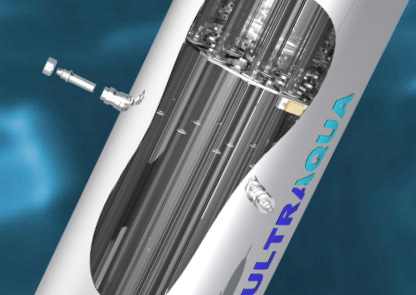 Ultraaqua ACN series UV Disinfection systems by the Danish Company ULTRAAQUA is a UV system designed to protect farmed fish from waterborne diseases transmitted by inlet water. The UV disinfection systems can also be applied to protect the surrounding environment, particularly wild fish, from pathogens in farmed fish. The verification focused on the disinfection of inlet water, since this is the most common application. The technology was verified by ETA Danmark A/S in cooperation with the Danish Centre for Verification of Climate and Environmental Technologies, DANETV, in the area of ‘Water Treatment and Monitoring’.